Dwight Drummond has been a reporter and news anchor for over two decades. He was awarded the Ryerson University Alumni Award of Distinction and has been inducted into the Faculty of Radio and Television Arts Wall of Fame. 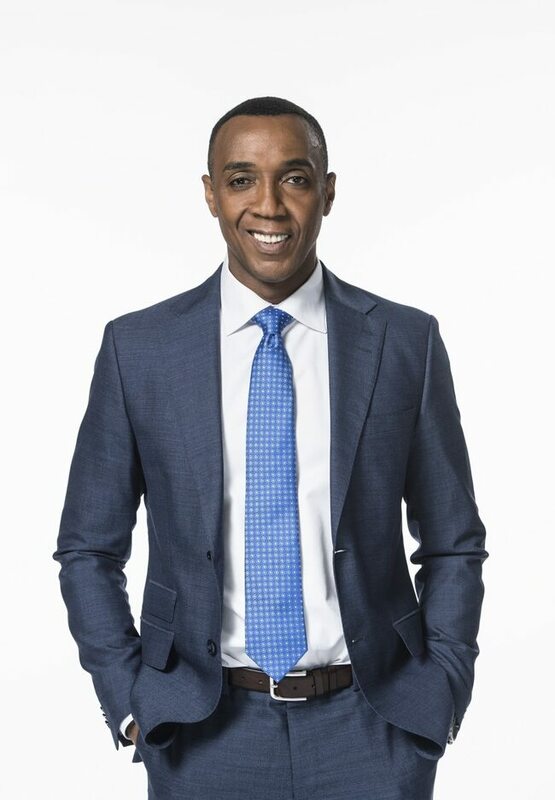 Currently, Dwight is the co-host of CBC News Toronto, the flagship supper hour program and winner of Best Local Newscast at the 2015 Canadian Screen Awards. Dwight has done "just about every job there is to do in a newsroom" as he worked his way up through the industry. Known for his exclusives, he's broken local stories that have gone national and has reported from the U.S., Caribbean and Africa. He had the lead story on CityNews' Gemini win for best newscast, and a top story for City's Edward R. Murrow win for best newscast. Dwight has also received a number of awards for his police reporting and commendations for his community work. He is a recipient of the Men of Excellence Award, the Distinguished Men of Honour Award and the African Canadian Achievement Award for excellence in media.